Price per piece is such a terrible measure of value, I get that people use it because there isn’t an easy numeric value that works but really it’s pointless to shout about price per piece and the way the front page discussion was going, closing discussion was a good idea. The Lego batcave has a nice Bruce Wayne in a white tux like Sean Connery. Just need to find a better hair. Yeah. Sets with lots of minifigures often have higher price per parts, technic sets with loads of pins have lower price per part, basic brick sets have lower, etc. One number does not fit all. 9p per part can be terrible value, whereas 15p per part can be great value. It depends on what the parts are. With the lack of minifigures, I wouldn't compare this to a licensed set, unless it is being compared to a licensed set with no minifigures or printed parts in. Dear oh dear! Just caught up with the front page comments debacle. All that fuss because someone doesn't like a Lego set. Kudos to @CapnRex101 and @Huw for maintaining their dignity. If this was my site I'd have made a big thing of hoofing that particular user so far away that Google wouldn't be able to find them. I'm all for differences of opinion, but everyone has a choice in the way they voice them. That said - crikey that's ugly! I too had the Corgi -- one of the favorite toys from my youth. Haven't bought this yet but it looks close to Technic figure scale. I'm hoping the ejection seat has enough omph to lift a Technic fig! How else would you suggest I voice the opinion that their recommendation was less than genuine? I don't usually bother posting in the forum these days because it's toxic as hell in here. There are so many cliques it's like a WW2 Morse code station. Do people really think they have the right to accuse the site of being less than honest, with no evidence other than that the site's opinion differs from their? It's no different from the idiots who accused reviewers of being bribed by Disney to give The Last Jedi good reviews. Oh give it a rest, for pity's sake. As a member of the Brickset staff I can vouch for the fact that that there's absolutely no pressure whatsoever to write positive reviews, ever. Chris' recommendation was entirely genuine - he enjoyed the build, and said so. I get that you hate the set, but to accuse him of dishonesty because he happens to have a different view is pretty shabby IMHO. First off, an apology. It was hypocritical of me to complain about the way you expressed yourself and then be rude about you myself. I shouldn't have done it, so sorry for that. 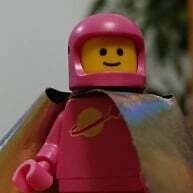 Secondly, I haven't been around Brickset as long as many, but I've certainly been here long enough to know that everyone who posts a front page review, from regulars like Huw and Chris to the occasional contributor like MeganL will provide a review based on their own opinion rather than any perceived pressure from TLG. The fact is, Chris provided two things: a factual description of the set, and additionally his thoughts on it. Anybody who was considering spending over £100 on a set will take the former and make their own mind up as to whether they want to buy it or not, probably together with information from other sources and for those who live close enough to a shop, after 'seeing it in the plastic'. And one other thing to remember. This is a site for fans of Lego. There's a good chance that most of us will be well disposed to a set, particularly one with links to an iconic film series and a series of pretty cool features. Personally I think that while the features are novel, the set fails as a reflection of a beautiful car and I won't be picking it up. But as a fan of Technic - which many Lego fans find anything from 'odd' to 'not proper Lego' - I get that we all like different things. You and I didn't like the DB5. Chris did. I don't usually bother posting in the forum these days because it's toxic as hell in here. There are so many cliques it's like a WW2 Morse code station. Are you in the right Forum? Either that, or 'toxic' means something very different in your vocabulary. And you may want to update your references. Nobody knows what Morse code is. "There are so many cliques, it's like a Kardashian blog post." Maybe even, "There are so many [squads/crews]" too? I have to say, I quite like the set. It's not perfect but at the end of the day this is Lego were talking about here and most of the fun comes from the building. If I wanted a totally accurate model of 007's DB5 there are numerous places I can buy one in varying different sizes but that's not the hobby I chose. There are far worse sets out there and personally I wouldn't give you two pennies for the old VW Beetle ( #10187 ) as to me, parts of it look like a left over level from qbert (anothe reference for the over 40's) & when #10152 came out, comparisons were made and I seem to remember lots of negative comments about the new one looking like a Citroen 2CV but it seems to be doing alright. Any Lego set is never going to be perfect just because of the restrictions placed on the parts available but better that than how things got when Lego had free reign to produce an endless supply of alternative parts, as last time that nearly didn't end well. Oh come off it, in an attempt to counter my questioning of a positive review for such a clearly naff set, Huw himself attempted to say the review was negative, yet somehow, despite highlighting just a single positive, shut off comments before attempting to explain how a single positive could justify a recommendation. Like I said in the comments, how bad does a set have to be before they'll refuse to recommend? Capn gave me two example where they have refused to do so, the first because of perceived poor value, fair enough but that's an abstract consideration given the different prices in different domains, and everyone having a different amount of disposable income. The second because Huw didn't know the source material and didn't feel able to comment either way. Has there ever been a case where Brickset has received a set for free from TLG and refused to endorse it based on design values alone? I get the Brickset / TLG mafia will jump on dissent but the response to my critique astounds me. It wasn't a personal attack (yet I've had to bat away a few since), rather an observation that the site is determined to protect its relationship with TLG come what may. You could argue this is a positive thing, especially for us consumers of the site, but I'd argue this damages their integrity. I mentioned Hoth Bricks in my comments - they too received the set for free and were able to pre-prepare a review. They were pretty scathing. 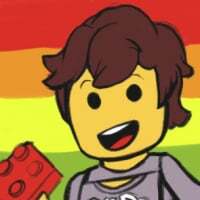 They also, unlike Brickset, always arrange a giveaway for the products they receive from Lego, thus removing any suggestion that they need to remain on TLG's good side for fear of losing such freebies. The New Elementary, an otherwise excellent blog, failed even to mention that the finished product didn't even look like the source material, something virtually everyone else who has seen the set has commented on. Yet their full-on endorsement somehow means that Brickset's recommendation is entirely valid with absolutely no room for debate. I'd like to add - look at Blocks magazine, they have a pretty close relationship with TLG, often gifted exclusive access to designers, etc. Yet they've never shied away from saying a set is truly terrible. It simply isn't credible that (virtually) every set Brickset reviews is considered worthy of recommendation - something I've thought for a while and the 007 review confirmed it beyond doubt for me. none of these were recommended purchases by the reviewers, yet all were given the same amount of analysis of any other set. Brickset seems to be a generally positive place. The reviews look for the good where possible I think. It's LEGO, all of it's good, right? Who really cares if Brickset recommends every set? To be honest, I think I'd "recommend" almost any set, because LEGO is never a waste of money, sometimes a set might not be great value for money, but no-one is forcing you to buy it. Why is it an issue if Brickset reviewers get to keep the sets? Have you tried writing a review? Hours of time freely given to prepare images, write content, edit the review etc. If you were to divide the time spent by the rrp of each set, you won't even come close to minimum wage. The concept that this is free LEGO is erroneous. The idea that there is any kind of bias as a result of being given a set is also erroneous, have we all not been given sets by friends and family and been both disappointed and elated by the set given? Does our relationship to the person giving the gift have any bearing on our immediate reactions? Unless it's someone you're hoping to have a bit of a kiss and a cuddle with later, of course. There is no doubt the DB5 isn't the best looking set ever, but it does have great features, fabulous features in fact, so much so, that it's changed my opinion and I'm willing to forget the looks... it's LEGO after all, it can be modified. I just wish I could post memes right now. Two of those weren't provided by TLG (which presumably leaves room to voice genuine dissatisfaction), another was from 2017 and The Hoth set is from 2016! Seriously, that took you 5 minutes? Doubtful. Again, compare Brickset's almost universally positive reviews to other sites that don't do the readers a disservice. Again, referring to Blocks magazine, who rarely give a set 90% plus and have regularly given sets less than 50%. I don't understand why this is so controversial. Almost everyone can see the 007 set is terribad. Even Huw claims the review was negative with only one - qualified - positive. Yet somehow the set was still recommended. Would that make you edgy and modern? I thought modern was now emojis (previously known as emoticons for those of us who remember internet via dial-up). I've lost most of my edges to tacos and beer. I mostly have curves now UNLIKE THE LEGO ASTON MARTIN DB5! BOOM! ROASTED! INCINERATION! (Full disclosure, I still like the DB5 and will be buying one next week. I will also be buying more tacos because there is a Chipotle in Frankfurt and there isn't any Mexican food in Sofia which is sad. Two of those weren't provided by TLG (which presumably leaves room to voice genuine dissatisfaction), another was from 2017 and The Hoth set is from 2016! Seriously, that took you 5 minutes? Doubtful. Not really, having a good memory of what I've read in the past is quite easy really. Again, referring to Blocks magazine, who rarely give a set 90% plus and have regularly given sets less than 50%. Of the 398 sets reviewed by Blocks magazine, 35 have been given a score of 50 or less, 41 have been given a score of 90 or more which leaves the other 322 being given middling to positive reviews. I'm not sure how this equates to your rarely given out 90% plus, against regularly giving sets less than 50% as they appear to give more positive reviews than not. This may be because they are in the pocket of TLG but i doubt it, it might just be that they, like many other Lego sites, review sets on the basis that they are primarily a kids toy that have to take into consideration the build stability, structural integrity, play features, price and the look of the build when reviewing a set. Almost everyone can see the 007 set is terribad. In your opinion, not everyones. Huw might not have mentioned them in that specific response to your comments you keep referring back to, but there were a plethora of positive elements spread throughout the review - some to do with nice aesthetics in certain places (not by any means all over the vehicle) but most to do with the fantastic movie-inspired functions. Reading the latter actually swayed me into buying the set where I was potentially going to leave it based on design alone - which is where much of the criticism lies and where most of this endless chagrin is coming from. Outside of the set design itself, yes the price is much higher than we'd want in most territories - but if perceived value is the problem there are countless times particularly in the last couple of years where Brickset reviewers don't recommend the set at full RRP and suggest waiting for a reduction. From a business perspective TLG would obviously much rather we all paid full RRP for every set, so those types of review conclusions certainly aren't pandering to them. I won't make any personal comments aimed at you but I would advise that you just let this go and move on. 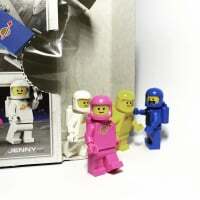 There's more to life (or indeed Brickset) than disagreeing with one review. I also think you'll find that almost all of us aren't 'toxic' enough to give you the type of angry back-and-forth you'll see in some other forums - which is a credit to this site. Brickset / TLG mafia will jump on dissent but the response to my critique astounds me. I mentioned Hoth Bricks in my comments - they too received the set for free and were able to pre-prepare a review. They were pretty scathing. Wouldn't your time be better spent singing the praises of Hoth Bricks and their apparent moral superiority when reviewing LEGO sets? And by the way, one's enjoyment of a LEGO set is inherently subjective. There is no singular truth to whether a LEGO set is 'good' or 'bad'. The Brickset Mafia is real!?!?!? Brickset seems to be a generally positive place. Psst... do you know when the next Brickset Mafia meeting is? I have a box of toxic cupcakes I can bring. Is there a US chapter of the Brickset Mafia? I can provide a resume of garbagey sets that I like. There's a good chance that most of us will be well disposed to a set, particularly one with links to an iconic film series and a series of pretty cool features. I must make you an offer you can't refuse. Is there an application fee to the Brickset Mafia, or is it more fundraising-based? Are there cookies we need to sell? Is there a GoFundMe page? Yada, yada, yada. Yawn. I wasn't bullied by the Brickset mafia when I first joined the forum, and I won't be bullied now. I won a few friends here by managing to shut some people up who were talking about crap they knew nothing about (tax, consumer laws, etc.). Always makes me laugh when people here are critical of the Eurobricks forum, as though the same type of stuff doesn't happen here. Sure, it's not the mods who stifle debate here, it's the regular cliques. Your opinion has to match the majority or it's inherently deemed invalid. And of course someone's enjoyment of Lego is subjective. When did I say otherwise? You just can't handle that I had the temerity to call the recommendation out for what it was. You're simply closing ranks around the Brickset staff because that's what sheep do. That's what always happens in a community, the 'leaders' and 'owners' are somehow deemed untouchable, above criticism. Let's be absolutely clear here. Brickset may have started out as a labour of love but now exists solely to generate income. That's not necessarily a bad thing, in fact Huw and co would be daft not to monetise the community they painstakingly built up, but it is bound to influence their recommendations, their decision to push certain products and promotions. Well, congratulations on remembering four sets since April 2016 that Brickset failed to recommend. Can we return to talking about the set? I was skeptical of the 007 licence, it didn't make sense to me at all. Having now seen all the praise levied on the play features I get it to an extent. pure speculation, but makes for some fun thinking. Your opinion has to match the majority or it's inherently deemed invalid. Exactly. The majority opinion of the set is that it's quite bad, right? We're all thinking 1, maybe 2/10, right? And then big bad CapnRex came along and said "I would actually recommend this." Pretty much everyone hates the set, and yet CapnRex claims he finds it all right. There's just no way he's telling the truth. He has to be lying. Everyone can tell just from images that it's crap, so how could someone who has gone so far to build the set not notice this? He's lying, isn't he? He's being bribed, isn't he? Is that right? ^ I was thinking the same thing. I wondered if Disney was also involved with the plans for Dimensions Year 3, since Disney Infinity was cancelled and all, but they pulled out at the last minute and blew a hole in the plans that couldn't be filled. It's a shame, but as always, it's less money to spend! Don't get me wrong, @Aleydita - I see where you're coming from. Reviews here on Brickset have an unusual tendency to recommend sets immediately after listing their many flaws. I just doubt the reason behind it is as malicious as you're suggesting. Wait there is a Brickset Mafia? Was I not invited because I own a lot of Legends of Chima sets and don't care much for the Roller Coaster?! Maybe because we both like Elves and Friends? I feel excluded that I can't be one of the Brickset Mafia 'sheep'. I won a few friends here by managing to shut some people up who were talking about crap they knew nothing about (tax, consumer laws, etc.). You just can't handle that I had the temerity to call the recommendation out for what it was. Um, does anyone really care? It's a toy review on a website. I can think of 1000 other places where being a self-appointed truth crusader would be more impactful. We're not talking misinformation or unsubstantiated speculation. It's one person's opinion on a LEGO set. And if you choose to impute that opinion because of some relationship you percieve between the reviewer and product seller - good for you. If the reviewer doesn't disclose the relationship, then shame on them. And if viewers don't trust the review - then nobody will read it. Any time I see a positive review for a Transformers movie, that reviewer is off of my list for consideration. I don't feel the need to raise the flag and sound the alarms. I just ignore the next review. Either way, I don't mind the set. I think it'll look fine with the rest of the automobiles in the Creator line. 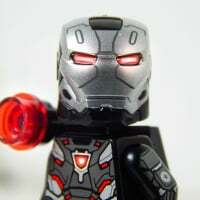 I am happy to see that LEGO is pushing further out with licenses and appear to be leaving the previous constraints. Giving a recommendation at the end of a review is more nuanced than some might imagine. There are few sets that I would recommend to absolutely everyone* but the vast majority of sets have positive attributes and will therefore appeal to certain people. Finding flaws in a set does not mean that nobody will appreciate it. #10262 James Bond Aston Martin DB5 is a perfect example of this. Certain areas of the model are not as faithful to the source material as previous Creator Expert vehicles so I think those who have collected the other sets, but are not James Bond fans, might be disappointed by this one. The price is also higher than I would like, although not to an extortionate degree. However, the set also has a number of qualities. For example, it includes a magnificent range of functions, all of which work perfectly and several of which I was not expecting. Furthermore, the building experience is thoroughly enjoyable and demonstrates several interesting techniques. Finally, I believe it would be difficult to improve upon the appearance of the model at this scale, simply because the real car includes so many curved surfaces and that must be taken into consideration. I would therefore recommend this set to James Bond fans, like myself, but those who are more interested in the accurate recreation of a classic car, such as most other Creator Expert vehicles, will probably find greater appeal in other sets. That was the opinion I gave in my review and it remains unchanged. Now, I would ask that we return to discussion of the actual set rather than continuing this debate about reviews. @Aleydita and others have made their feelings known while @drdavewatford, myself and others have expressed an opposing point of view. Neither of us can prove our case to the other so to continue discussing it would be futile. * #21309 NASA Apollo Saturn V and #70618 Destiny's Bounty spring to mind. I care that you are characterizing the Forum as 'toxic' and that there is a Brickset Mafia. There is no Mafia and I believe you are misguided in labeling the Forum as 'toxic'. These are great examples of excellent builds of themes that some may overlook. I had zero interest in either of these sets until I saw and read how popular they were. Big James Bond fan here. The price is a bit higher than I would have liked but I do like the funcionality, now I just need to get a signed one by Sir Connery. It's not the sleekest model, but like other's have said, it's still Lego, it's supposed to look a bit 'blocky'. Oh there's a mafia alright! They've hacked my computer, tablet and phone so that each time I access any of my devices the Brickset website opens first followed by the forum! I was minding my own business wallowing about in the age of darkness when said mafia ordered me to the light via a Google search for brick gifts... As if that wasn't bad enough I now have a 'toxic' disease that requires the constant expenditure of hard earned monies lest I go into withdrawal and incur the mafias wrath! yea, my spouse doesn't think I'm funny either. Alright enough. Let's keep on track Gentlemen. There are important questions to be answered. 1. Best custom Bond figure I need examples. 2. Will we see more Bond sets? 3. Who has built theirs already and do you make a vroom vroom sound or a sqreek when driving? 4. Who is doing custom changes and what are they. Feedback people. Lets get to work. A rather confident 007 strolled into a bar and took a seat next to a stunningly attractive woman. He gave her a quick glance, then casually looked at his watch for a moment. Noticing his actions, the woman next to him asked, "Is your date running late?" "No," he replied, "Q's just given me this state-of-the-art watch and I was just testing it." Intrigued by his words the woman replied, "A state-of-the-art watch? What's so special about it?" "Well you see," said Bond, "it uses Alpha waves to telepathically talk to me." "I see," said the woman, "and what's it telling you now?" "It says you're not wearing any knickers..." came the reply. The woman giggled and replied, "Well it must be broken because I'm afraid I'm wearing knickers!" 007 tutted, tapped his watch and said, "Damn thing must be an hour fast!" Funny, no mention of building an Aston Martin LEGO set in that joke. The rabid responses to an unpopular opinion would suggest otherwise. "You will believe what we say, not what you think." I have an idea. Would someone go half-half with me on the set, then take out all of the cool play features and send them to me? Well, that's just silly. I would ignore them. Maybe future reviews can be augmented by a poll of some form that allows Brickset users to score the sets out of 10? It would allow everyone to share their views without the need to excessive verbosity. And also act as another for of guide for future buyers. Ninjago City certainly and I'd add the Old Fishing Store #21310. Nor your previous but I’m not sure much of this thread is about building an Aston Martin LEGO set at all. Hi, guy who works at LEGO customer service here just popping by to confirm that we don't enforce fansites giving our products good reviews because we're doing more important things like propping up the shop site with twigs to make sure it doesn't topple over again. Honestly I'd say that most of the TLNM sets aside from maybe Zane's Ice Tank (weirdly expensive RRP) and Garmadon's Shark Mech (bit too bulky for my liking) are worth a punt if the price is right, and even at RRP they're really dang worth it - 70607 Ninjago City Chase is probably the best-value small set I've ever bought, and the 70612 Green Ninja Mech Dragon is really bloody awesome. Goes without saying that Ninjago City and the Docks are must-buys too. I am not sure we will see more Bonds sets, guess it will depend on sales, but seems like the opinion is pretty divided on this. The violence is the first issue, but the mysogyny in the older films is pretty horrendous so don't know if they would actually do figures/playsets. Although I would have never predicted for them to include so many playfeatures in this so maybe I am wrong. Something I would like to see: Scaramanga's island. Something I wouldn't like to see: Felix hanging from a hook being eaten by a shark. I guess it depends... is this predominantly a James Bond theme, or an Aston Martin theme? Not a huge selection, and with the possible exception of the V8 Vantage, all pretty difficult to replicate in the brick. If you're looking at any Bond cars though, not just Astons, or Bond vignettes, then that's a whole different kettle of fish.